EXPATPRO is a leading boutique law firm that focuses on migration to Ukraine and offers personalized,top-quality legal services for foreign expats. Our clients are foreign individuals and the international companies that oversee their business, employment or personal opportunities in Ukraine. Through comprehensive knowledge of legal, political and business areas, our migration experts walk our clients through the jungle of Ukrainian law. Our team provides professional legal solutions on how to move to, and reside in, Ukraine and start-up there in the simplest way in accordance with applicable Ukrainian legislation. We strive to keep in touch with our clients and continue to support them in their daily business activities and their evolving living needs in Ukraine. Whether you are considering relocating to Ukraine, starting a business there or simply seeking consultation on work permit, visa, and residency issues, or have other expat-related legal needs, you can count on EXPATPRO. Expats who want to open a business in Ukraine may face some time-consuming, bureaucratic difficulties. 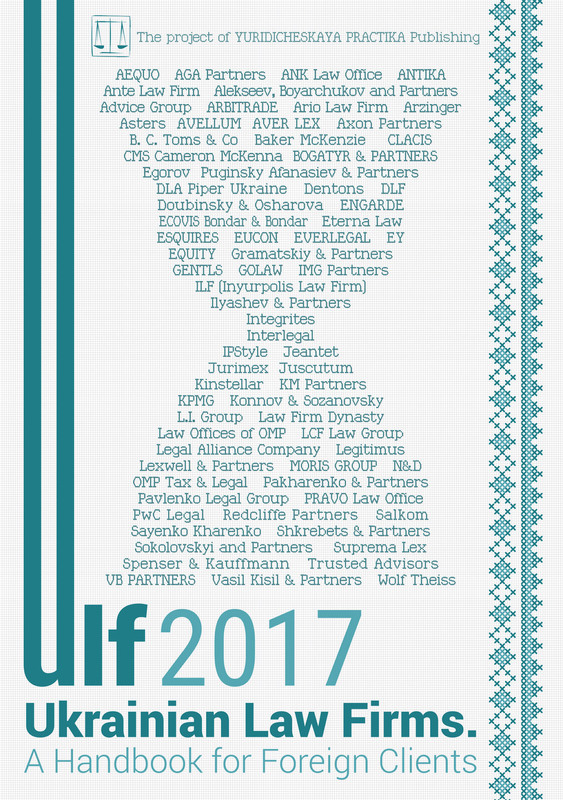 Our team will guide you through the peculiarities of Ukrainian business and corporate law. Our Corporate, Commercial and Business Team will advise you at any stage of your company’s operations in Ukraine. The team of EXPATPRO offers sounds advice and a wealth of experience in all areas of employment relationships between business entities and expats. Our real estate agents together with our lawyers will guide you through every step of real estate transactions in Ukraine, from legal review/vetting of properties and negotiations to signing Lease or Sale-Purchase Agreements. Our team is experienced in cancellation/ removal of work and residence permit disputes initiated by the Government of Ukraine. We also have successfully argued appeals on a wide variety of disputes on behalf of our clients. Despite the deep economic crisis of 2014-2016 and the de facto war with Russia, a lot of foreigners from over the world, including the USA and the European Union citizens, tend to move to Ukraine temporarily or permanently. Ukraine attracts expats with its huge economic potential, developed infrastructure, heartwarming people and, of course, due to the relatively low cost of living. Foreigners are interested in Ukraine as a place for starting a business which can give faster and bigger income than in other countries. Mild taxation for small and medium business, lots of Government programs stimulating business activity are attractive as well. It is worth noting that we now see the results of the implementation of e-government programs, transparent administrative services that are constantly improving. However, there is still much left to develop. Ukraine is open for almost any type of business activity you can think of. The IT sector, manufacturing, agriculture, advertisement, services, etc. You will never feel a shortage of qualified employees as higher education is available to all citizens and school education is compulsory here. At the same time, Ukraine is a desirable destination for expats who work remotely and can do their job wherever they want: IT developers, translators, consultants, copywriters, consultants, etc. These people can earn a high salary and spend it on an inexpensive life in Ukraine. So How Can Expats Stay in Ukraine Legally? Citizens of a long list of the countries can enter Ukraine without a visa: citizens of EU, USA, Great Britain, Canada, Georgia, South Korea, Japan and some other countries can stay in Ukraine for 90 days in a six-month period. In the case of violation of this rule the foreigner who overstayed in Ukraine gets illegal status and become unable to use Government, notarial and other official services. For example, foreigners who overstay can’t get a Ukrainian tax ID, can`t get married, are not able to give a power of attorney to a lawyer. A foreigner who breaks the 90-day stay rule can also be punished with a fine accordingly (Article 203 of the Code of Ukraine on Administrative Infringements) or even could be banned from entering Ukraine for 3 months to 3 years. Of course, such inconveniences can incommode the business activity of a foreigner or his personal life issues. To avoid such inconveniences which can incommode business activity, and stay in Ukraine legally for the continuous period a potential expat has several ways of doing this. The most common and transparent one is official employment in Ukraine. Any foreigner has a right to be employed in Ukraine (work in Ukraine) if he/she gets a work permit in accordance with the legislation of Ukraine. After getting a work permit the potential expat is eligible to get a temporary residency permit in Ukraine for 1 year with the unlimited right to extend it (and the work permit) each year. Obtaining a work permit is quite a complicated procedure facing a person. It requires evidence of educational level, qualification, the absence of infectious diseases, drug addictions, the absence of criminal procedures against the foreigner, and (generally) absence of a Ukrainian candidate for the place you apply for. Special procedures are granted for IT businesses and specialists (they may be employed without the employer complying with the priority employment rights of Ukrainians), scientists and representatives of religious organizations who comes for preaching activity. The students of Ukrainian schools, colleges, universities may be also granted a temporary residence permit. Using this way of legalization in Ukraine the expat depends on the employer because he can lose his residency right after he/she is fired from the position. But this way of ensuring legalization in Ukraine (employment) is much easier and safe for expats who register their own business in Ukraine and become the director or a deputy director of their own company. Potential investors and foreigners who want to run a business in Ukraine (no matter if it is big or small) won’t have any problems getting temporary residence in Ukraine for as long as they need. It worth noting that expats who want to be employed in Ukraine will face some burdensome and bureaucratic procedures such as the necessity to provide at least some university or high school degree, legalized or apostiled in the country of origin and obligation to pass a range of medical examinations. But at the same time, all these procedures are constantly improving and become easier for foreigners from year to year. Another possibility is a family reunion. This is grounds for issue of a temporary residence permit. Such reunion relates to both reunions with parents, a spouse who is Ukrainian and those who have already obtained permission to stay legally in Ukraine. For instance, if a foreigner has started a business in Ukraine, received a work permit and temporary residence permit, all his family main join him and also acquire legal status in Ukraine without their employment or looking for other grounds to get permission to stay in our country. They will just need to apply for type D visa and after that — for residency. That is how a family reunion works. It is much easier to acquire residency if you have some family connection in Ukraine: for example, marriage with a Ukrainian, having a child who is a citizen or Ukraine or having relatives who are (were) Ukrainians (ethnical connection) or who were born on the territory of Ukraine. However, if you are married to a Ukrainian citizen it does not automatically grant you permanent residency: you need to prove that the marriage lasted for more than 2 years, otherwise you can apply for a temporary residence permit. Being “Worldwide Ukrainian” is another efficient mechanism that gives foreigners who identify themselves as Ukrainians, has a blood relationship with Ukrainians or someone who was born on the territory of modern Ukraine. This special status gives a foreigner right to get a long-term 5-year visa free of charge, right to get an immigration permit and thus, apply for permanent residence permit, right to work in Ukraine without obtaining a work permit and thus, apply for a temporary residence permit (Law of Ukraine No. 4381-VI On Worldwide Ukrainians, Law of Ukraine No. 5067-VI On Employment of Population). — being a child of a citizen of Ukraine. — being born on the territory of Ukraine. — highly-qualified specialists of those professions which Ukraine needs. Additionally, Ukraine currently supports repatriation processes and provides possibilities for acquiring special status for those foreigners who were citizens of Ukraine in the past. To acquire residency in Ukraine (temporary or permanent one) foreigners need to get a type D visa at a Ukrainian consulate abroad. It is one of the problems that may occur during obtaining a residency. The cost of such a visa differs from country to country and is based on the principle of reciprocity (depends on the value of visas for Ukrainian citizens in the respective countries). The exceptions are citizens of Belarus, Georgia, Moldova, Azerbaijan, Uzbekistan, Armenia and Russia who does not need a type D visa. The good news is that obtaining temporary residence or a permanent residence permit provides you with almost the same scope of rights and duties as a Ukrainian citizen has. Those expats may stay within the territory of Ukraine, leave it and re-enter within the term of validity of their document, they can purchase property, work, study, get any type of Government and private services, etc. But those foreigners who aim to acquire legal status in Ukraine need to remember: any breach of laws of Ukraine related to the legal status of the foreigner (including overstaying, providing forged documents or false information) may result in forced expulsion from Ukraine and a ban on them re-entering.